2009 and 2010 were proclaimed to be the year of location by several media outlets. The identified trend was centered around gamified location-based apps like Foursquare and features in Facebook and Instagram allowing you to tag your posts and photos from a specific place. For us at mixed-reality game studio Gbanga where we create location-based games since 2007, those forecasts were quite a promise. Location can not just deliver a more immersive game experience, but also adapt the game play to the player’s context and friends. However, we quickly sobered up — so far, games that use GPS still remained a niche; but why? Beginning in the early 2000, prototypes of GPS-based games such as Spacerace were created by researchers and engineers and focused on technology. Early adopters were excited about the technical possibilities and projected their dreams into this new to be developed genre of mixed-reality games. It’s why those games were rather niche and catered a nerdy audience like Google Niantic’s title Ingress and the outdoor phenomenon geocaching. The visual design of those first generation location-based games is clumsy and the battery drain during usage requires players to purchase additional battery packs. Also, gameplay focused mainly on relocation like running, even though a majority of app users usually sit «on the couch» while using apps. For some odd reason, moderate exploration was not appealing enough to game designers. Early developers such as Red Robot Labs, after raising over $15M now defunct, struggled with the complexity of both the technology and the invention of the location-based game genre, even though Life is Crime was casual and had appealing graphics. Helsinki-based Grey Area‘s Shadow Cities was hyped, but shut down a year after launch. Other developers such as flaregames in Karlsruhe, stopped the production of an announced title which resembled a Sims world, apparently because apparently it was too costly to make it fun. It seemed as if the few companies alone were not strong enough to make the genre viable for mass market. This is remarkable, because mixed-reality gaming is more than merely a new genre. It effectively combines virtual and real activities, not only catering to both physically active people and consumers of digital media alike, but also forming a bridge, a common ground – or playground, if you will – to engage in a completely new kind of immersive activity. Mixed-reality offers the excitement and physical sensation of traditional outdoor activities, such as soccer, with all the added benefits of digital interactive media. For the first time, players can get real-time information about the locations of other participants, or they can influence each other with abilities that would not be feasible in a normal outdoor game. It’s enhancing real play using virtual components, and vice-versa, and brings together the best of both worlds to create an immersive, fun and unique experience. Obviously, this sort of tailor-made experience is more appealing to the player. The personalized experience is comparable to the development in the music industry, where Spotify’s Discover Weekly offers two hours of tailored music. Recently, development tools and engines became versatile and affordable enough to empower game designers and level designers to create location-based games that are truly fun and accessible by a broader audience. Just now, global brands start adopting the promising concept of location and context in games such as Mercedes-Benz in last May’s Urban Hunt. The momentum of virtual reality and the graphical power of widely used mobile devices allows impressive augmented reality effects which also open up new areas of application of location-based games such as team events and tourism start making use of context-based gameplay. 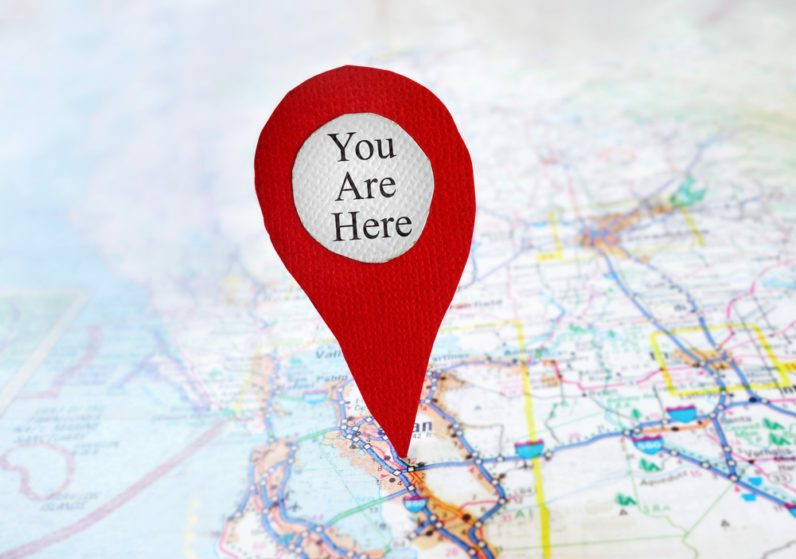 While location-based gaming is still in its beginning, developers finally start to explore the vast space of possibilities that surround the topic. New gameplay mechanics are discovered, mixed and matched to create fresh and fun experiences. Game designers now more carefully craft game mechanics and gameplay around the technical limitations. Battery-draining GPS functionality is polled sporadically for long-lasting experiences, camera augmentation is used purposefully and real-time multiplayer features are replaced by less intense round-based asynchronous game turns. Also content creation shifts towards the player. Inspired by creation-games such as Minecraft, teachers and their pupils engage in geocaching expeditions. Game creation tools such as ActionBound empower their students to build location-based adventures with sophisticated stories. There are, of course, still some obstacles to overcome: as public space transforms into the level of a game, developers and players alike have to face new challenges and responsibilities. How are players kept from playing on private grounds? How can the technology best be used to enhance the experience? Players must be kept safe and passersby’s privacy must be respected. Future production will certainly address all of those challenges. It is why we believe 2016 is — eventually — the year of location-based games. A few months ago, renowned game company Nintendo and The Pokemon Company announced the title Pokemon GO The fantastic creature world of Pokemon has a rich heritage and strong enough publicity to introduce the new genre of location in games. All this reminds us of the moment when the screening of the movie Avatar introduced 3D to movie theaters It was powerful enough that the movie theaters installed the required equipment and epic enough so that the general public purchased 3D goggles. So, we are looking forward playing those location-based games released this year!